Carol L. Healey’s principal areas of practice are professional liability defense, defense of large-exposure personal injury and other tort and statutory matters for commercial and nonprofit entities, and construction defect litigation including coverage issues arising in construction defect litigation. Ms. Healey has over 30 years of experience in the broadly defined field of insurance defense, in the litigation and trial of cases involving personal injuries, professional liability (attorneys, real estate brokers and travel agents), elder law, product defects, environmental claims, toxic torts and the defense of public entities. She has tried thirteen cases, twelve California cases and one federal case, almost all defense verdicts. She has argued and successfully defended several appeals in State and Federal courts. She holds an AV© peer review rating from Martindale. Ms. Healey serves as an attorney fee arbitrator for Alameda County and the American Bar Association; serves as Settlement Master for San Francisco Superior Court; and regularly arbitrates disputes for the San Francisco courts. 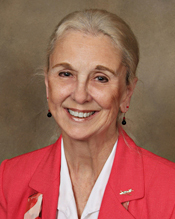 She has served on the Airplane Owners and Pilots Association legal panel for many years and regularly counsels pilots regarding aviation issues. She has served as faculty for the National Institute of Trial Advocacy. She was appointed to the State Bar Committee on Rules of Court and to the Judicial Council Advisory Committee on Rules and Procedure of Courts over a six year period. Ms. Healey obtained a J.D. from the University of California, Hastings College of Law, and obtained an A.B. degree from Ohio University. She is a current active member of the Alameda County Bar Association, Los Angeles County Bar Association, and Association of Defense Counsel of California and Nevada. Ms. Healey is admitted to all courts of the State of California, and to the Federal Northern, Central and Eastern District Courts, and to the Ninth Circuit Court of Appeals.